Time was when virtually everyone who had undergone a rhytidectomy, or facelift, bore the telltale signs for the rest of their lives. Pinched faces, too taut skin and scars behind the ears were all too common, and the majority of those who went under the knife ended up looking worse off than before. But times have changed, and these days a good facelift by a competent surgeon can lop off years off your appearance, if not turn back the clock entirely. A facelift is a surgical cosmetic procedure designed to make the face look younger, fresher and rejuvenated. Age, sun exposure, smoking, bad diets and plain old gravity can all take a toll on our faces, and the result is often that we look considerably older than our chronological age. Please be aware that there are several different types of facelifts, depending on your age, your budget and the state of your face! A face lift works by removing excess fat on the face, particularly around the neck and jowl areas, tightening the muscles and re stretching the skin over the areas to give it a fresher, newer look. This is major surgery and it can be painful, but for the vast majority of people, both men and women, who opt to have it done, the results are more than worth it. In most cases the surgery is fairly straightforward, although you should discuss all aspects of what will take place with your surgeon beforehand – and don´t forget that a surgeon certified by the British Association of Aesthetic Plastic Surgeons, or BAAPS, is best. Usually an incision is made behind the ear, going all the way back into the hairline. Using this, your surgeon will free the underlying tissue from the skin, then pull it up and back, getting rid of the excess. Occasionally some deeper tissues may be repositioned to a different place, and some fat may be removed. The goal basically is to redrape your skin, after getting rid of any loose folds in the neck and making sure that any lax, sagging tissue in the face has been tightened. Most people have general anaesthetic, although in some cases twilight surgery is preferred, which is local anaesthetic combined with a sedative. At least one night in hospital is required, although occasionally more is recommended depending on the circumstances. Like any major operation, the recovery period for a facelift is an extended one, so don´t expect to flaunt your new face for at least a few weeks! Immediately following your surgery your head and face will be bandaged, and there may be a drainage tube inserted behind your ear. All this is designed to minimise bruising and swelling. Stitches will be removed in around a week, and you may look a bit strange for some time. With a full facelift can probably return to work in about 10 days, but don´t expect to convincingly hide what you´ve been through! If you have a mini facelift, thread lift or other similar procedure, the recovery period obviously will be a shorter one. People who smoke, have hypertension or diabetes are those who carry the biggest risk, and a good surgeon may try to dissuade them from having this procedure carried out. Risks for anyone can include bleeding, infection, facial paralysis due to nerve damage and necrosis of the skin, which is where the skin dies. Generally expect to pay about £2,000 for a mini–facelift, and considerably more for facelift procedures that are more complicated and time–consuming. 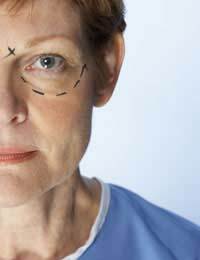 A facelift can be the one surgical cosmetic procedure that can take years off your appearance. But like any form of plastic surgery, going down this route is not a decision to be taken lightly. Make sure you have all the facts – and a good surgeon – before you start. After all, once you have an operation there is no going back!